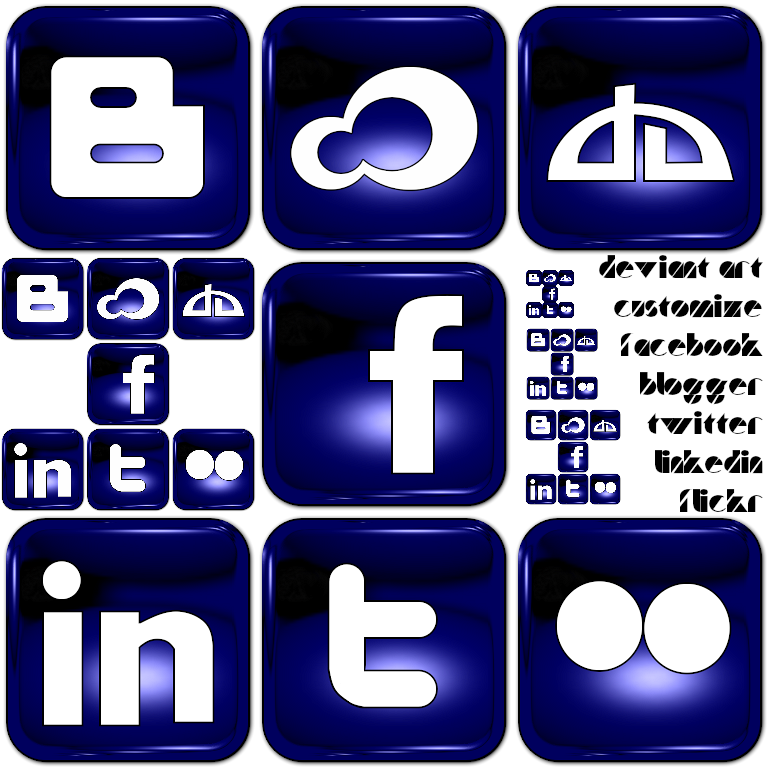 Icons of Social networks and other most popular website. There are icons for: Facebook, Deviant Art, Customize.org, Twitter, Flickr, Linkedin and Blogger. It is modified version of icons, which I made for my website. I made them, while I was improving the page with contacts. Look here.